When thinking about the context that surrounded the edition of this book, he pointed out: 'If there is a place in Spain where both the chivalrous sense, sober and medieval of its first reconquerors, together with the sweet hedonism that is born by the sea, her skies and earth, it is without a doubt, Valencia”. This is specially the Valencia of the last years of the XVI century. A time where the Renaissance spirit imported from Italy with the constant trips of the Levante people to Naples and Sicily, including to the court of the Valencian Popes, the Borjas or Borgias. It softened and made whiter the almogavar state of mind of those descendants of the romantic and brave colleagues of James the Conqueror. Our edition sees the light of day in the court of the viceroy of Germana de Foix. In this literary Valencian atmosphere, a noble gentleman is denoted, Luis Milán, the author, who was also of El libro de musica de vihuela de mano intitulado el maestro and of El cortesano. 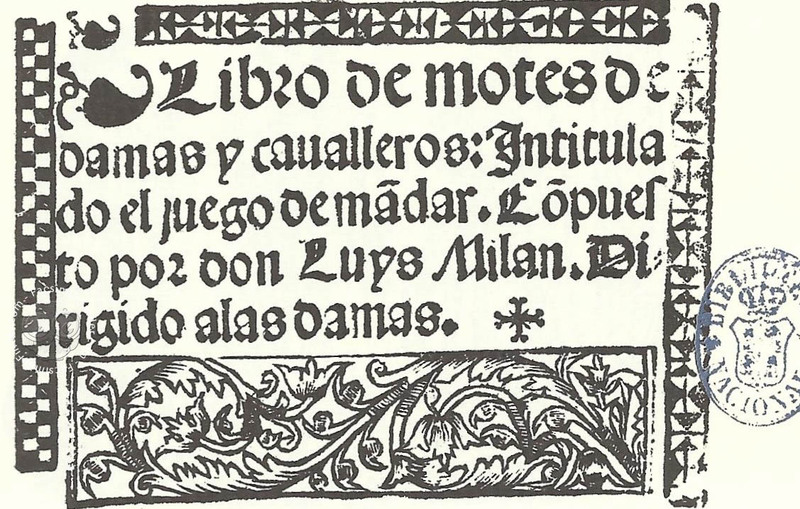 The great bibliographer concludes the book by signing off as the book of: Libro de motes de damas y cavalleros intitulado el juego de mandar (Nicknames of ladies and gentlemen, titled the art of commanding) 'son of a frivolous and happy court, presided by an even more frivolous and funny lady who did not have any more transcendence that to serve as pastime and entertaining happy and gallantly for some hours'. Printed book on paper − 10.5 × 8.2 cm − 224 pp. 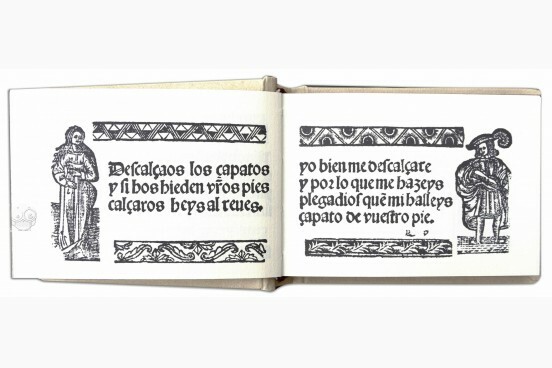 Full-size color reproduction of the entire original document, Libro de Motes de Damas y Cavalleros - El Juego de Mandar: the facsimile attempts to replicate the look-and-feel and physical features of the original document; pages are trimmed according to the original format; the binding might not be consistent with the current document binding.